Hope this is something new or different. Earlier this year at my lunchtime spot I saw what looked like a new Pete like this one going away up the hill and behind the Jersey Barrier. I thought I saw what looked like a second lift axle, but wasn't 100% sure. This rig confirmed it, heading east on I-80 into PA on 11/4. I thought it was an odd sighting for a Sunday AM, but didn't notice at the time that it was being delivered by a drive away company. Oooh you beat me to it Paul, I've been seeing this truck about 5 times in the last month delivering to the industrial yard behind my neighborhood. Been trying to get a shot but the driver speeds when he's coming out and he always runs up on me quick. It's a unique look for a straight LTL rig, first of its' kind that I've seen. 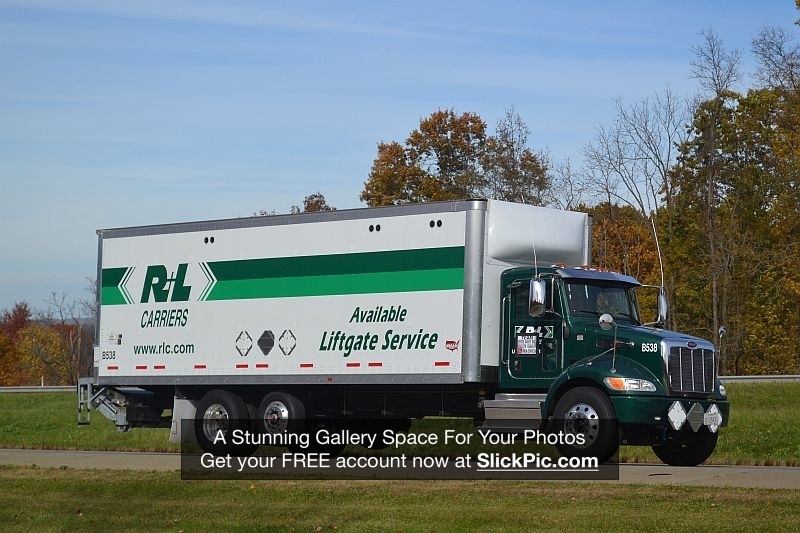 R+L has been spec’ing their new straight trucks with that lift axle. This is the first time I’ve seen the conventional. Around here they have a few new “DAF style” cabovers with the same setup.